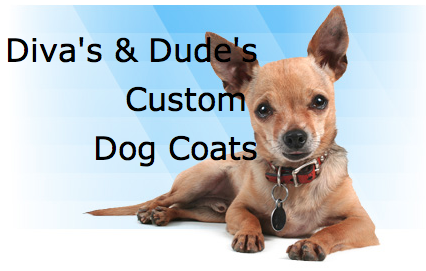 At the Fence: Diva's and Dudes Petacular Custom Coats! I hope you are enjoying our Petacular Event as much as I am. The dogs come running now when they here packages crackling, because they are hoping for a new treat or toy. I also want to take a second and share with you that our sheltie Grace had her pups on Saturday. 3 cute, little squiggly pups. She had 2 females and 1 male. You will probably be seeing more of them in pictures in the next couple of months. We are all so excited! Now, on to Hope's Cafe and her review and giveaway from Diva's and Dudes! Just like people, dogs are unique, and no matter that they're the same breed or even litter mates, each dog has something just a little bit different. So why not customize their clothing, tailor it, so to speak? Yes, you can purchase dog jackets at any department or pet store, but if you want something a little bit special-and that will fit your dog just right-then you need a custom dog coat! Diva's and Dude's specializes in custom dog coats, for dogs of all shapes and sizes. I imagine this would come in really handy for owners of dogs such as Basset Hounds, Dachshunds, and other uniquely shaped dogs. However, even for one as common as a Lab or a Beagle, customizing their coat to their size and shape is a great benefit! Diva's and Dude's agreed to make a coat for our Schipperke, Shadow. For anyone unfamiliar with Skips, they are short, round black dogs with a thick but short coat, and come from Belgium. Shadow is very active, and loves playing outside, even in the super cold weather-but we like to make sure she comes in every so often, to stay warm. So, when given the opportunity to review a custom dog coat, I knew this was perfect for Shadow! The process is actually very simple; you only need to take 3 measurements. I emailed Jo Ann with Shadow's measurements: length from base of neck to top of tail, girth, and neck size, and she offered an opinion on the type and color of coat. We decided on a faux-fur zebra print coat, with a black lining. I was amazed when just a few days later I received an email telling me Shadow's coat was ready for shipment! The coat arrived a few days later, and we were excited to try it on Shadow. Honestly, the coat looks amazing; very well made, and even better than store-bought, because it is just the right size for Shadow. Nice wide velcro keeps the coat in place! Now, Shadow loves her new coat, but it was hard to get her to sit still for pictures! She is very active, so catching a few outside was difficult-until we brought out the treats! Once she came in and settled down for a nap, it was easier. The coat really does fit perfectly, and Shadow can now play outside in the cold a little more comfortably. It's also great just for looks-Shadow is quite proud of her fancy new coat! I love that Diva's and Dude's offers coats for all occasions as well as all dogs. Maybe during the summer you just need a lightweight cover to prevent sunburn, or a terry/towel type coat to dry off after a dip in the lake. Maybe your dog is going to a special event and needs to look his/her best. Whatever the occasion, and whatever your dog, Diva's and Dude's has your dog covered-literally!! Diva's and Dude's is offering a custom coat to one of our Petacular attendees!! Note: The winner is required to send a picture and short testimonial (for Diva's and Dude's use on Facebook) to Jo Ann via email after receiving the custom dog coat. If you do not agree to these terms, PLEASE do not enter!! Please enter and share this with your frinds on your social media! 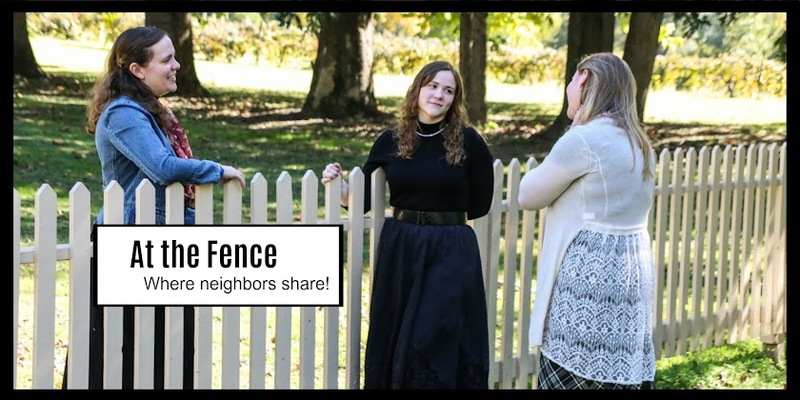 See you soon At the Fence! We just adopted a chihuahua hound mix back in Oct. She's about 17lbs and super long. We adopted Artie who loves the snow. He would look great in one of your coats. He also loves to dress up when going out in public. I have two standard poodles - one male and one female. My husky mix would look amazing in something like this. She may be a husky but what ever she is mixed with does not like this snow and cold. She needs to be warm in something stylish! I have a white male Boxer and a brindle female Frenchie. Either one would appreciate a new coat. Either my standard poodle or my sons papillon would look super cute in a custom made new coat. My Rat Terrier named Sugar is a clothes hound. Pardon the pun. She loved to dress up.